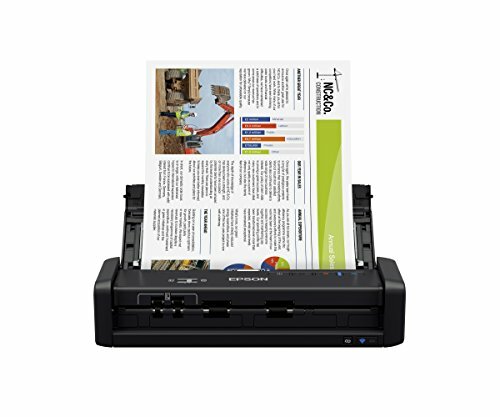 Get organized fast with the WorkForce ES-400 duplex document scanner. Perfect for the home or office, this reliable, easy-to-use performer boasts speeds up to 35 ppm/70 ipm with single-step technology, which captures both sides in one pass. Its 50-page Auto Document Feeder allows you to breeze through stacks of documents — from business cards to receipts, extra-long pages, and more. Scanning to online storage accounts like Dropbox and SharePoint, or to searchable PDFs and editable Word and Excel files, is simple. For added value, this compact scanner includes a TWAIN driver for compatibility with virtually all document management software. Go seriously paperless with Doxie Q The clever new wireless rechargeable scanner that flips open to scan stacks of paper in a flash. Get all the power of a big desktop scanner with the flexibility of being able to scan anywhere. Doxie's lightweight design and included apps makes going paperless easy, for big stacks and small. For all your paper Doxie Q features a simplex Automatic Document Feeder (ADF) that turns your documents into multi-page, searchable PDFs. If you have double-sided documents, simply flip the stack over and scan the other side. Doxie's app makes it easy to interleave the two sides with a single click. 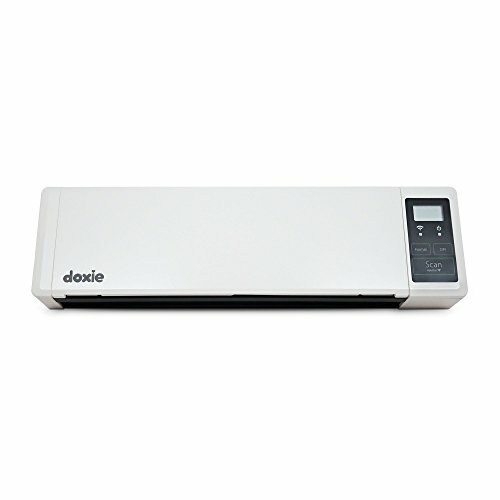 What you get with Doxie Q Doxie Q mobile scanner with simplex automatic document feeder (ADF), built-in Wi-Fi, 8 GB SD memory card, rechargeable battery, USB cable, worldwide power adapter, accessory kit, desktop and iOS apps, and unparalleled customer care. 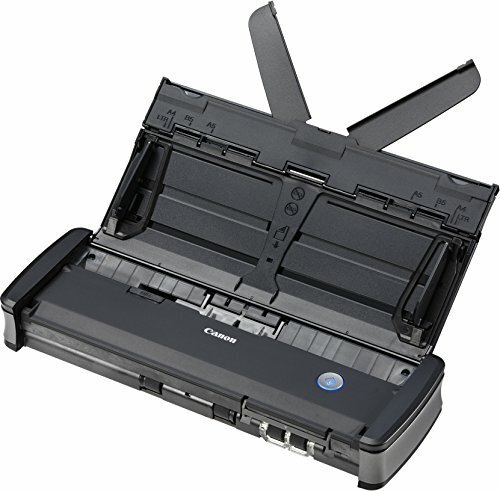 Boasting easy wireless scanning and the fastest scan speeds in its class, the WorkForce ES-300W compact duplex document scanner keeps you organized at the office and on the road. Wirelessly scan 2-sided documents, business cards and receipts to laptops, tablets, smartphones or online storage accounts like Dropbox. Featuring a 20-page Auto Document Feeder, the versatile ES-300W performs efficient batch scanning up to 25 ppm/50 ipm. Easily scan to searchable PDFs and editable Word and Excel files using the included software. 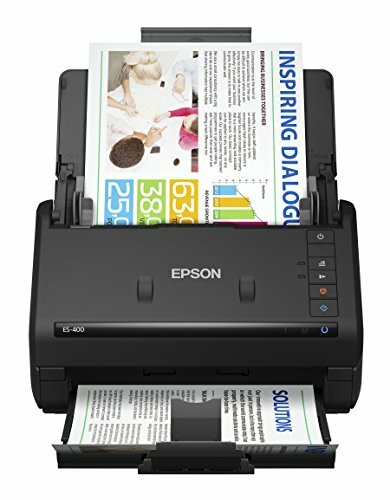 Built-in Epson Image Processing Technology offers intelligent color and image adjustments. And, you can use AC, battery or USB power — the choice is yours. 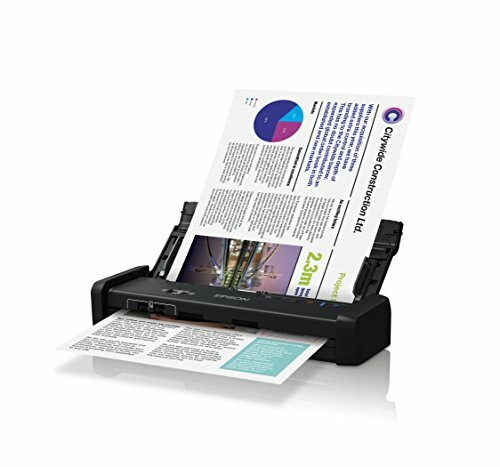 Delivering the fastest scan speeds in its class, the WorkForce ES-200 portable duplex document scanner makes it easy to stay organized, whether you're at the office or on the road. Quickly scan 2-sided documents, business cards and receipts with Single-step Technology. Featuring a 20-page Auto Document Feeder, the versatile ES-200 performs efficient batch scanning up to 25 ppm/50 ipm. Easily scan to online storage accounts, or to searchable PDFs and editable Word and Excel files using the included software. 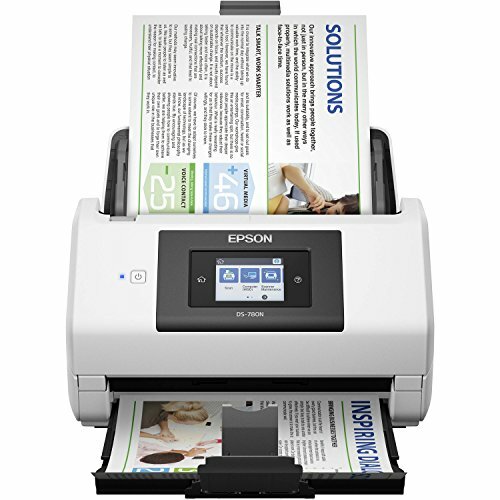 Built-in Epson Image Processing Technology offers intelligent color and image adjustments. And, you can use either AC or USB power — the choice is yours. 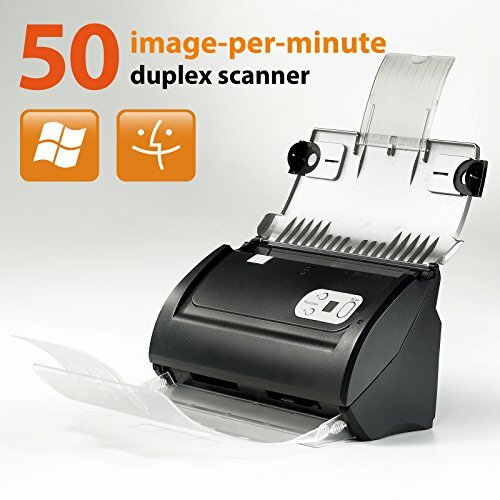 Delivering the fastest scan speeds in its class, the DS-320 compact duplex document scanner is the intelligent choice for efficient organization — whether working in the office or remotely. Quickly scan 2-sided documents, business cards and receipts. Featuring a 20-page Auto Document Feeder, the DS-320 offers speeds up to 25 ppm/50 ipm. It also includes TWAIN and ISIS drivers for seamless integration with existing document management systems. Scan to online storage accounts3 like Dropbox and SharePoint, or to searchable PDFs and editable Word and Excel files using the included software. And, you can power the scanner by AC or USB — the choice is yours. Refer to page 90 in the user manual for troubleshooting steps. Depending on your need for speed, the ImageScan Pro 820ix and 830ix scan at 20 and 30 pages per minute (ppm) respectively and handle up to 3,000 pages per day making them our most cost effective ADF scanners when you have a single document or a stack of paper to digitize. Capture clear images of everything from legal-size documents to letter size pages to insurance and ID cards. Paper or plastic doesn't matter. 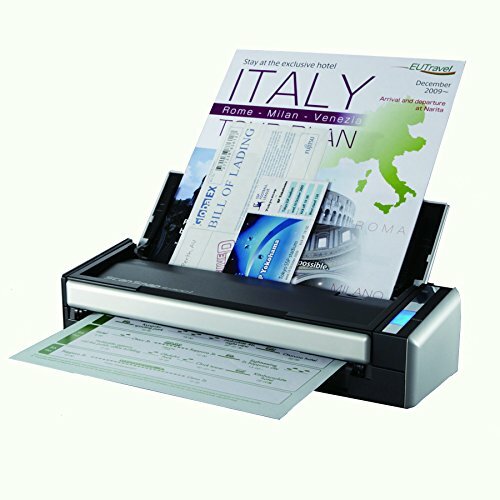 The imageFORMULA P‐215II Scan‐tini mobile document scanner is an ideal solution for both Windows and Mac environments. 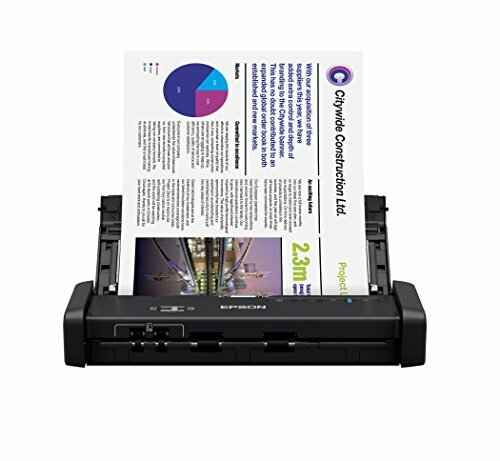 Complete with a built‐in card scanner, the P‐215II scanner's compact size, simple use, and high‐quality imaging bring sophistication to mobile information capture, storage, and collaboration. 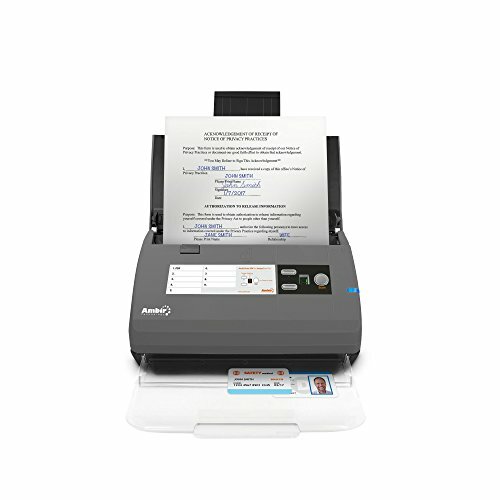 Compare prices on Document Scanner Adf at ShoppinGent.com – use promo codes and coupons for best offers and deals. Start smart buying with ShoppinGent.com right now and choose your golden price on every purchase.